...OK, they are for real. Opportunity Seeker has found an opportunity. Actually, Genius is a nerubian vizier (just like Fatespinner, Deathspeaker and Venomancer) and Conscripter is one of qiraji (just like Skeram Cultist). The latter, as you guys mentioned, is a prophet of the Old Gods and it makes sense in Priest because Madame Lazul, who is connected to them, is a Priest as well. EVIL Miscreant is a kobold and makes sense in Rogue because Togwaggle is a Rogue too. The nerubian one, you would assume, would be connected to Rafaam following the same logic, yet he's really not as there were zero nerubians or anything similar in LoE. I hope I made it clear now. All this effort and it's gonna be some sort of a pack filler, just you watch. What exactly E.V.I.L. Genius has to do with Rafaam? 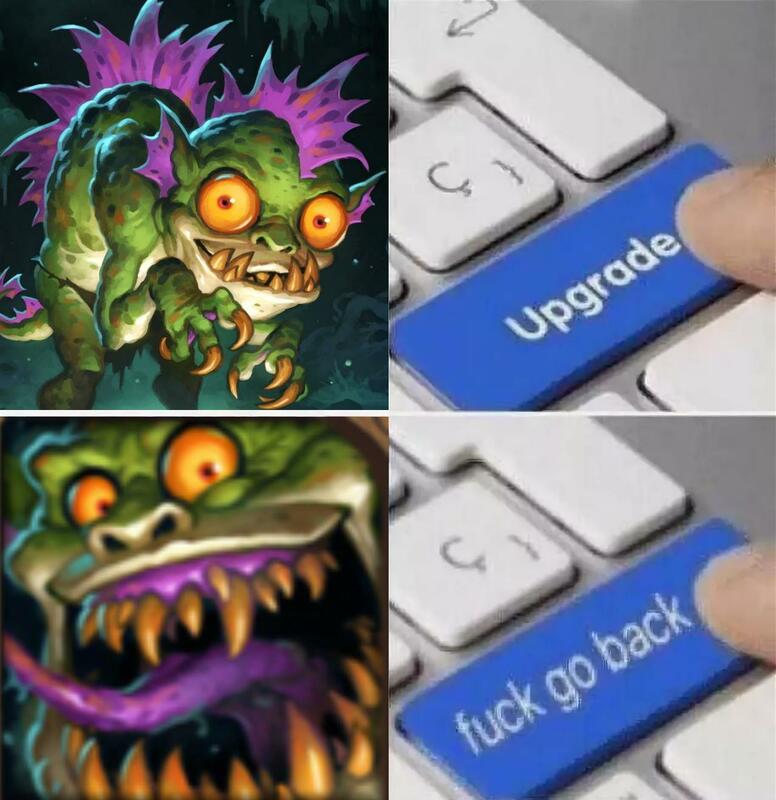 Nerubians are more of a Naxxramas thing, aren't they?